It looks like today’s a day for shopping, if Apple products are not your cup of tea, check out what senQ and Senheng has got to offer – the LG Nexus 4 and HTC Butterfly. All Senheng and senQ outlets nationwide are now taking order for the two brand new Android devices with stocks expected to arrive in a week’s time. 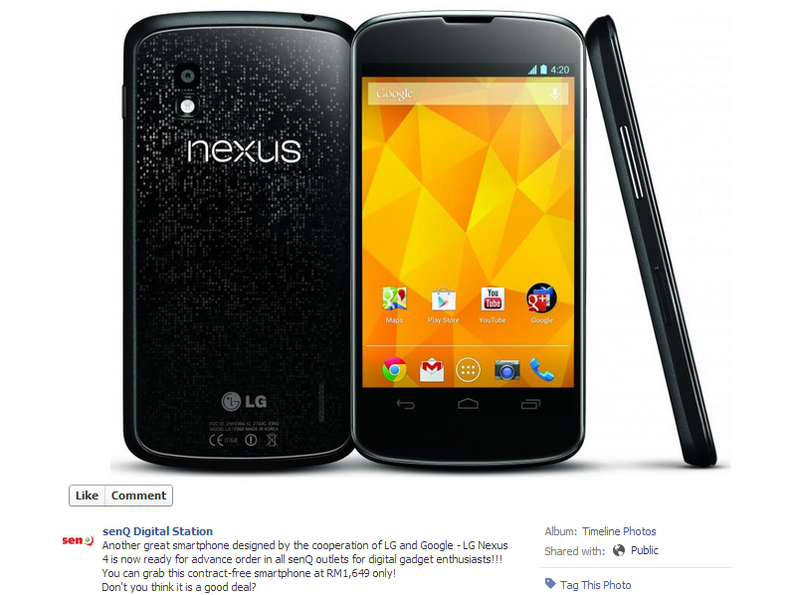 Purchase the LG Nexus 4, contract free, at RM1,649 from the company today, or if you’re in for something a little larger, Senheng and senQ are also offering the HTC Butterfly at RM2,299. Stocks are based on a first come first served basis, all units are 100% authentic Malaysia warranty set and if you’re a PlusOne member, you will receive an additional 1 year warranty on top of manufacturer warranty.